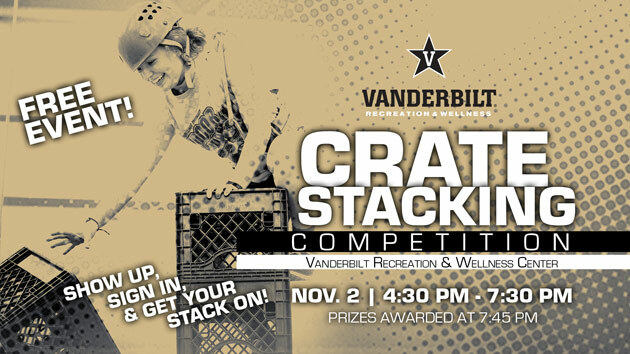 The Vanderbilt Recreation and Wellness Center and the Outdoor Recreation Program present the Third Annual Crate Stacking Competition on Thursday, Nov. 2, at the VRWC’s basketball courts. The competition will be held from 4:30 to 7:30 p.m., with the award ceremony following at 7:45 p.m.
Get vertical with Outdoor Rec at our third annual competition. We will teach you how to build a tower of milk crates while simultaneously climbing the stack. 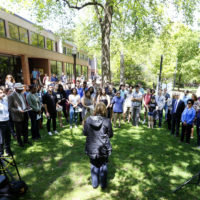 Participants will be connected to a rope and harness, just like at the climbing wall. Show up, sign in, and get your stack on!